We recently opened a fortune cookie that stated, "Something wonderful is about to happen to you." After receiving this fortune, we, Craig and Katie, feel that this fortune will be coming true soon in that we'll be able to realize our dream of parenthood and your child will be raised by wonderful people. We are so excited for this fortune to come true! We are both unique individuals and a unique couple. We have chosen a slightly different life path than some of our other family members, but that life path has been very rewarding and fun! Most of our family members live in more suburban areas, and we have chosen to live in a more rural area. We both very much enjoy spending time on our 50 acres of land and living more of a quiet, country lifestyle. We are also unique in that we tend to spend our leisure time and vacations doing rustic activities, like back-country camping and off-road motorcycle and Jeep travelling. We enjoy learning how to cook foods on the campfire and trying new camping recipes. We also have spent a lot of time travelling in foreign countries, and we enjoy trying new foods and learning to speak different languages. We love to look at maps and globes and dream of new and fun places to visit. All in all, our life choices have been different than other people, but we have had so much fun learning new skills, seeing different places, and meeting different types of people. With these experiences, we have learned many life skills that we think will help us to be great parents. We cannot wait to include a child into our lives and our future adventures! Having a child to share all of these moments with will only make them more special - we are so excited to see where this next chapter in our lives takes us! We have many hobbies and activities that we enjoy doing together and separately. Together, we love to travel. We travel by car, motorcycle, jeep, and airplane, and we've visited most of the provinces of Canada, all of the states of Mexico, many European countries, and most of the 50 states. We enjoy camping during our travels. We enjoy visiting the national parks, history and art museums, and historical monuments like Mount Rushmore and Washington D.C. 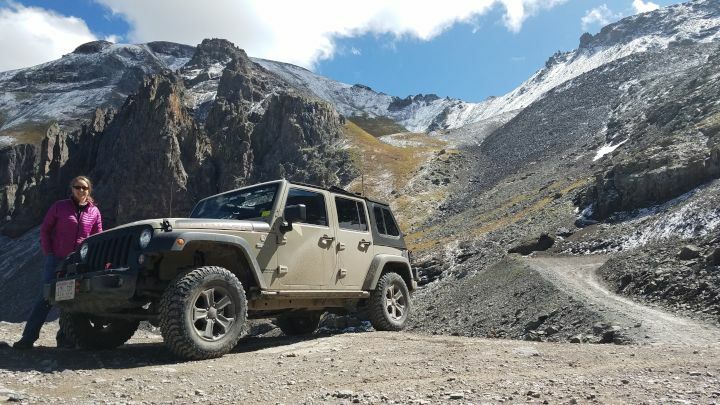 In the United States, we enjoy most the mountains - Colorado, North Carolina, Utah, and Tennessee are some of our favorite places. 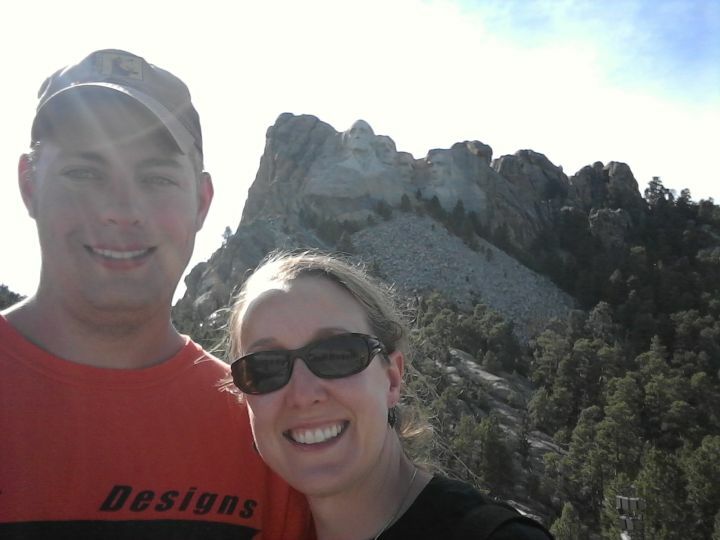 We also love just taking small trips throughout our state or going up north to Michigan and Northern Wisconsin. We both enjoy travelling because we traveled when we were young. We are super excited to travel with a child, because there are so many cool places to see in the world. We have had the opportunity to travel with nieces/nephews and friends' kids, and some of our favorite places that we've visited with kids include Disney World and Baja, Mexico. We are just very excited to share our love of travelling, learning, trying new foods, and meeting new people with a child. We dream to grow our family with adoption. We dream that we will provide love and guidance to our child so that he/she will be able to grow up, go to college, and become a happy and successful person. We dream that we will be able to be a close-knit family that supports each other at all times. We dream that we will make lasting family memories on our farm, and that we will learn to appreciate every minute of every day, because life is precious. We dream of raising a child who will become a sensitive, loving, creative, and happy adult. We dream of watching our child get married and have children of his/her own. We dream that this child will have a happy and loving childhood. We dream that the child will look back on his/her childhood and his/her experiences will bring a smile to his/her face. We dream of love, laughter, and happiness with our family. We Can't Wait to Share Our Adventures With a Child! We love where we live! We live on a 50-acre farm in a sunny two-story house with a loft. Although we live on a farm, we are right next to a neighborhood with a playground and lots of neighbors with kids. Our house was built by Craig's parents, and we have three bedrooms. Our favorite room is the great room, because it has our wood burning stove that makes the house cozy in the winter, and lots of windows that bring in breezes in the summer. We have a large barn that was built in the 1880s, and several other red-painted farm buildings. Our property has so much room for children to explore; we have 15 acres in the woods, and we have built walking paths through the woods. Craig enjoys riding his motorcycle and mud-truck on our property. Katie enjoys hiking, running, and snowshoeing on our property. 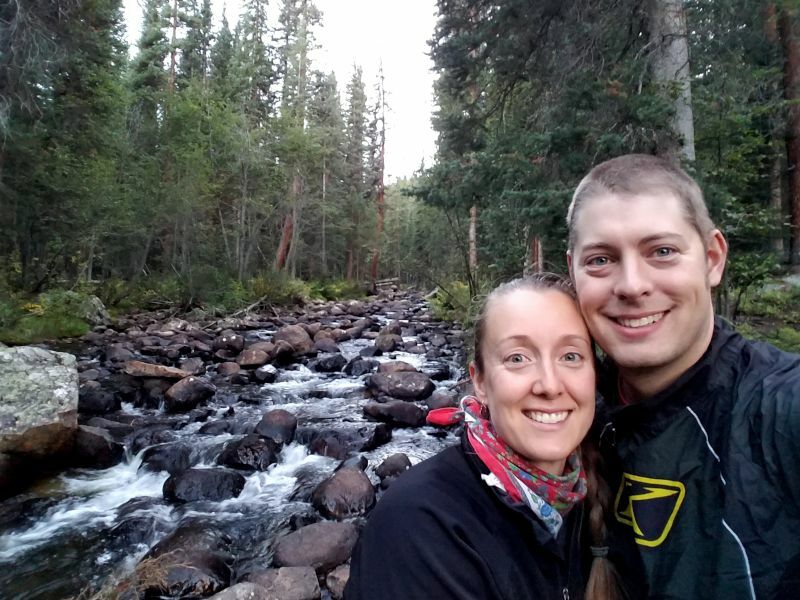 Although our home sits in a more rural area, we are still close enough that we can ride our bicycles into town, where there is a great library, several parks, and a YMCA with an indoor pool. We are also close enough to the city, where we can go to the museum, children's museum, zoo, art museum, and the theater. It's the best of both worlds! Our families are just as wacky and fun-loving as we are! Both sets of parents live in the state. We also have a sister, brother-in-law, nieces, and a nephew, cousins, aunts, and uncles all nearby our home. We also have family members outside of our state who live on each coast and many places in-between. When we get together, we enjoy going to festivals, doing puzzles, and playing board or card games. Katie enjoys doing art like drawing, coloring, and origami with our nieces and nephews. We also like to go to waterparks with our families. Our families are the kind of people who will drop what they have going on to help out a family member or friend. We have a number of family members who are in or are retired from the military, and we have a patriotic family. 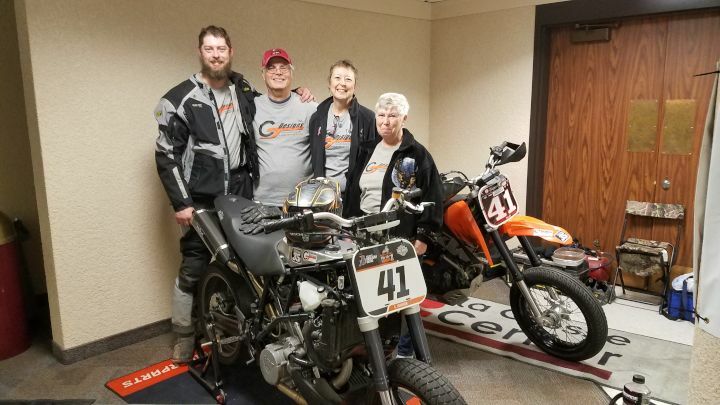 We love to get together with family for the holidays and other events, like supporting Craig for his motorcycle races. Our family members are very happy that we have decided to adopt a child, and they have offered advice and support for us and our growing family. We are looking forward to hosting birthday parties and other events for this child! In adoption, a child is not given up. An expectant mother gives life, a child, a family, and unconditional love. We think about you every day. We think about the sacrifice that you are considering to give a better life to your child. We think about your hopes, your fears, and your dreams. We honor and respect your noble decision to consider adoption and hope you will entrust us with the duty of raising this wonderful child. 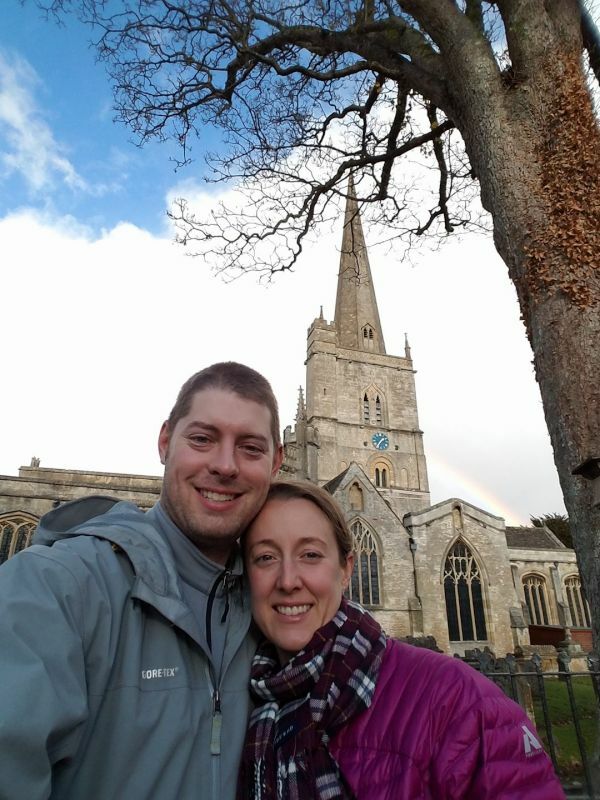 We are Craig and Katie, and we'd like to tell you a little bit about us. We were both born and raised 20 miles away from each other. Craig grew up on our farm. He spent his childhood helping his dad and grandpa on the farm, participating in 4-H club, taking machines apart and putting them back together, and racing his 4-wheeler. Craig then built a mud truck, taught snowboarding, and spent time travelling with his family. Craig built a successful career as a machinist, and he started his own business designing custom motorcycle parts. Katie grew up in a suburb of a large city. She learned to play the violin when she was 3-years-old. 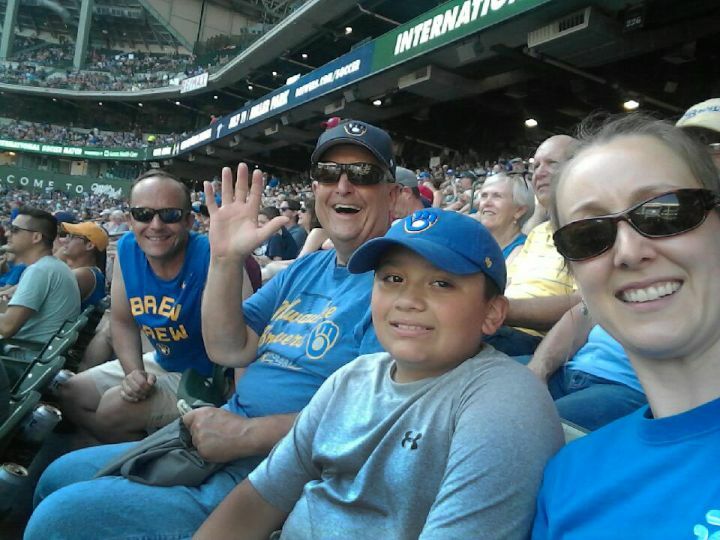 Katie's childhood was spent participating in the girl scouts, playing the violin, playing the clarinet, and being in sports like softball and synchronized swimming. Katie then joined the swim team, learned to play the saxophone for the jazz band, and travelled with her family. Katie has built a successful career after going to college and earning her doctorate in physical therapy working at the veteran's hospital. We have been married for 10 wonderful years. Since then, we bought a family farm, built a business, raised animals, travelled the world, and had an awesome time doing it! We are a couple of hard-working Midwestern people who think that it's important to live our lives to the fullest. Our home is warm and sunny in the summer, snowy and fun in the winter, and beautiful with lilacs and daffodils in the spring and red and yellow colors in the fall. Most of all, we love to have fun and not take life too seriously. We look forward to helping teach a child life skills, art, and music. We look forward to exercising, hiking, camping, and biking with a child. We look forward to helping a child with their studies so that he/she can go to college or pursue the path they dream of. However, we most look forward to sharing loving kindness, so that the child can share loving kindness as they grow to be an adult. We know that you are considering an extremely loving and difficult decision, and we honor your choice. We hope you know that we will always respect your decision and will teach the child about your positive life choice. We will honor you by doing our best to raise this child in a happy and supportive environment. Entrusting us to parent this child will be the best decision you can make, because we are so committed to parenting this child. We will share photos and letters with you. We will never forget the loving choice you would be making should you choose adoption and our family for your child. "Toto I have a feeling we aren't in Kansas anymore. We must be over the rainbow!" "You're never too old to do goofy stuff"